That’s right–I’m out on the back deck. And it was a total surprise, because it’s supposed to rain buckets today. Instead, it was sunny enough to get a bit more of the lawn cut with the reel-mower and to entice me outside. Only real issue, beside freak rainshowers, is the weak internet connection. Meh, I’ll live. Maybe I’ll get a little more done now. 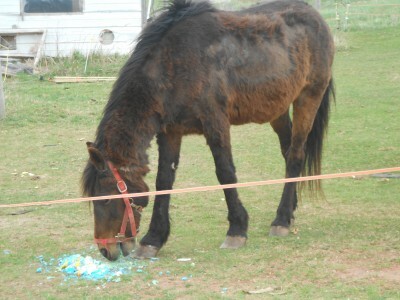 Bonus image: Old Man Pony eating cake, just because it’s so darn cute! Put another 2,000 words on Bite Me Tender between yesterday and today. Now, to add a bit more to the steampunk. 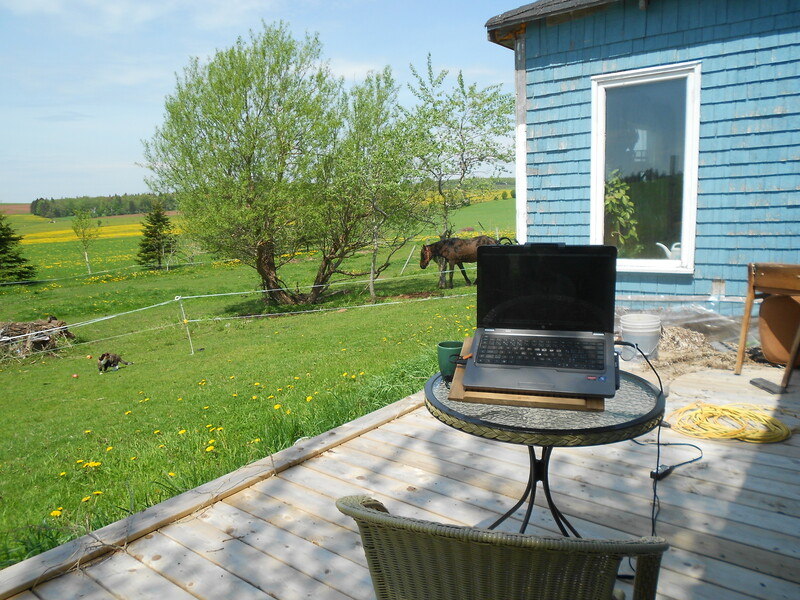 It’s a great place to write, although I sometimes just zone out and watch the ponies. I can see clouds moving in on the horizon, now, so I might need to up stakes and skedaddle in a few minutes. Do you have an outdoor spot you can go to write?